Holy Week will soon be here and we have services at St George’s and St Michael’s. Leaflets with the details are available at each church – take one for yourself and a few for friends and family. 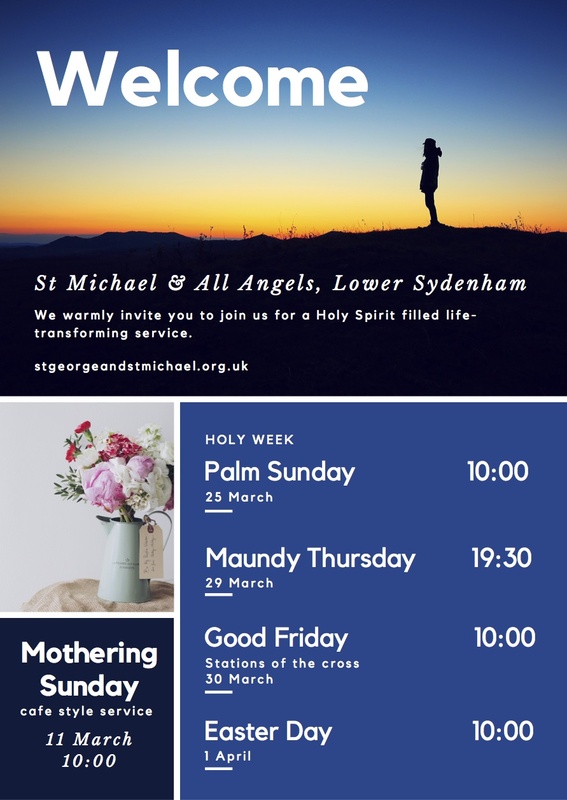 Or download the St Michael’s Holy Week Services leaflet or the St George’s Holy week Services leaflet to find out more now. This entry was posted in Festivals, Services. Bookmark the permalink.